(1) Sugar free challenge (apart from wine) – Not good. 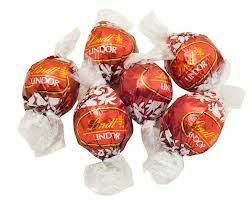 I found an open box of Lindt chocolates one night after drinking wine, (which of course drastically reduces one’s will-power) so I scoffed what was left in the box. Which was about four of those scrumptious round balls. God, they tasted good. FAIL. (3) To tidy my office before the end of March – Not yet. But I still have time. An easy TICK for this one. (4) To go to the gym at least 3 times a week – YES!!! I have a new trainer who I have to meet twice a week at the gym and this is fabulous. I’m going to introduce you to Ross tomorrow. Plus I did three spin classes and have lost half a kilo. I think it was the Lindt balls that did it. TICK. (5) To NEVER smoke another cigarette again – I actually felt like one this week for the first time in ages. On several occasions. I think it has something to do with stress????? But I remained strong and did NOT smoke. Big TICK.